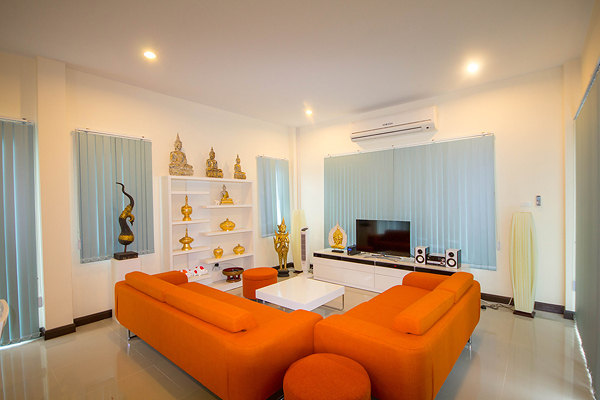 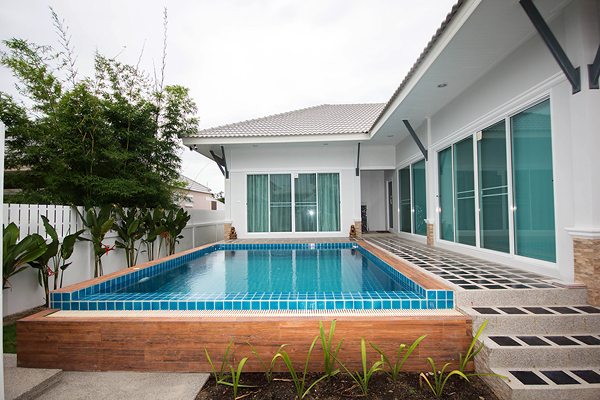 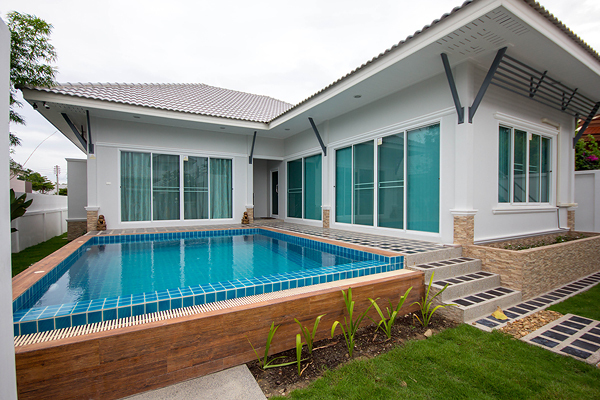 This privately owned fully furnished villa has a living area of 188 sqm and resides on a plot of 375 sqm of tropical garden in a very privately located plot in an esteemed property development in the hills just 4 km outside the center of Hua Hin. 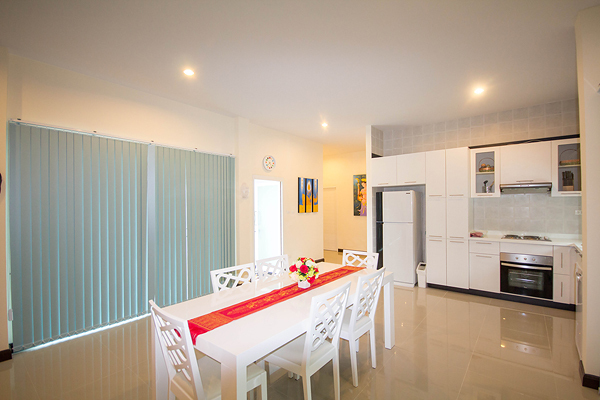 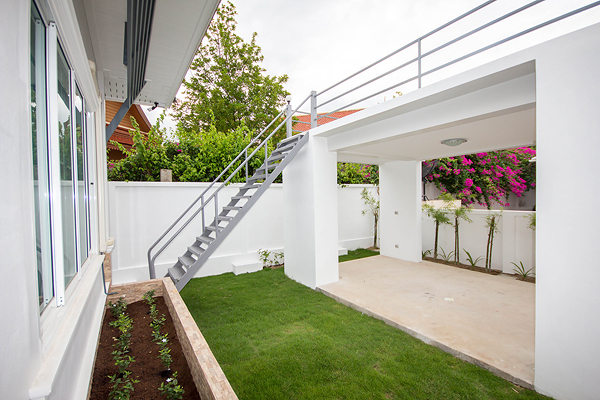 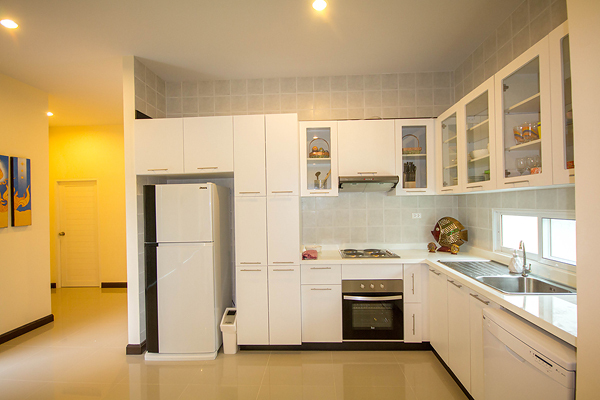 The house has 3 bedrooms, 3 bathrooms and a big combined living and kitchen area of approximately 45 sqm. 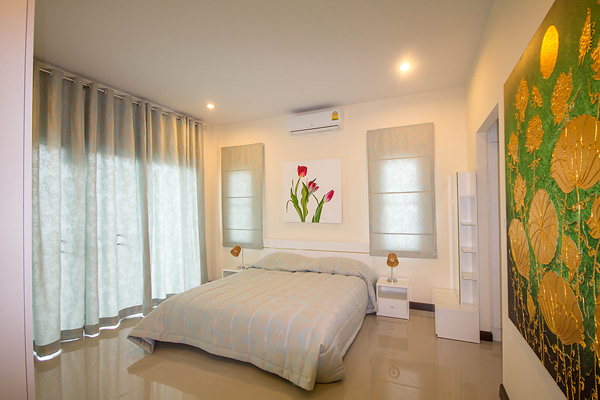 From the master bedroom and the living room there is direct access to the terrace with the 25 sqm pool through the big sliding glass doors. 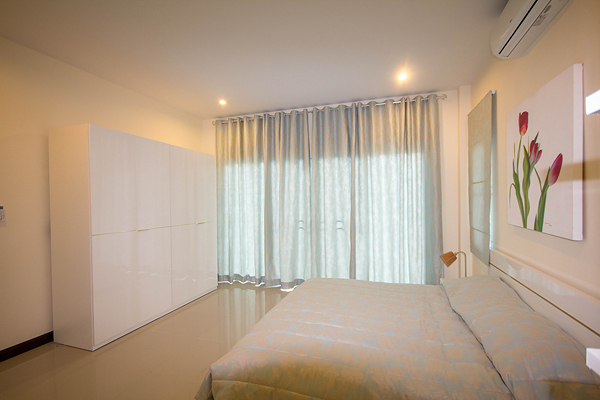 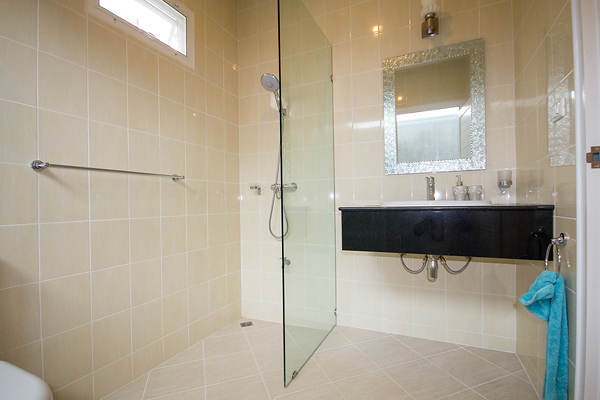 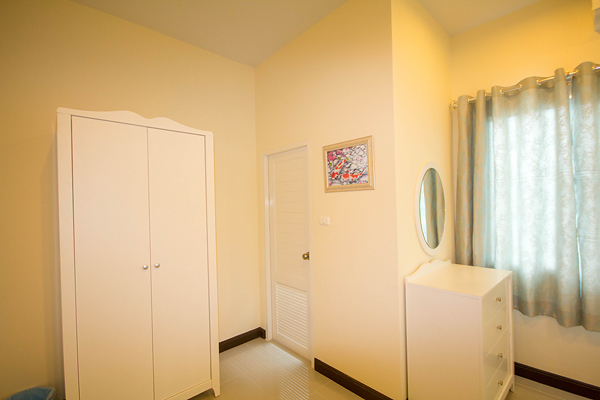 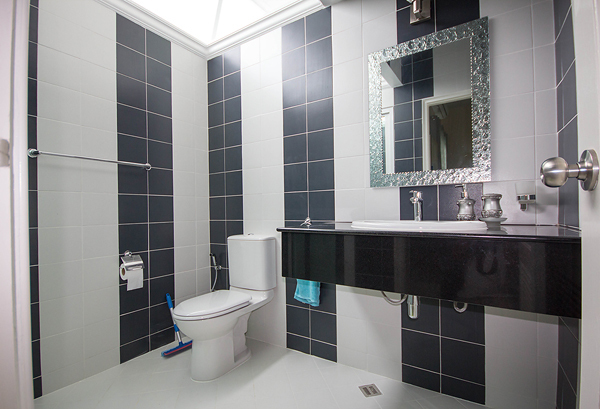 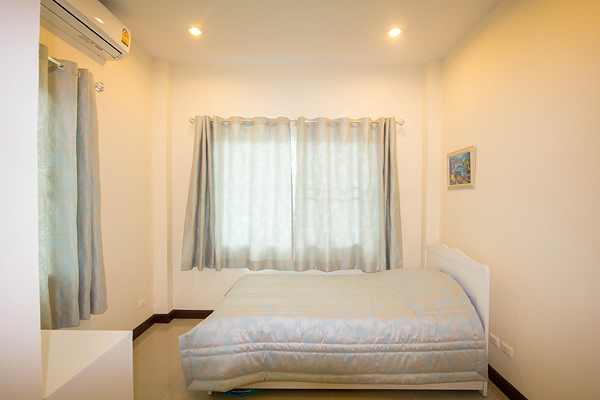 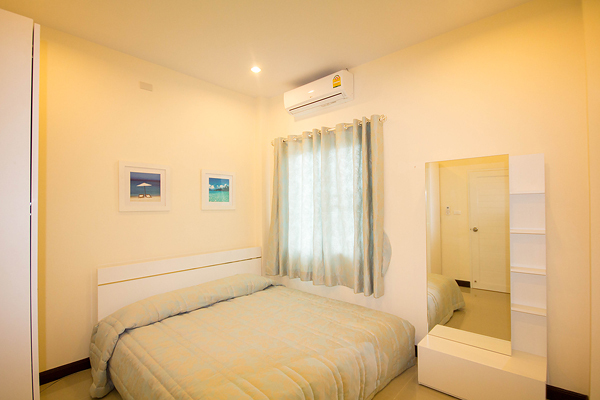 The master bedroom is 20 sqm and has a walk in closet and en suite private bathroom with both indoor and outdoor shower. 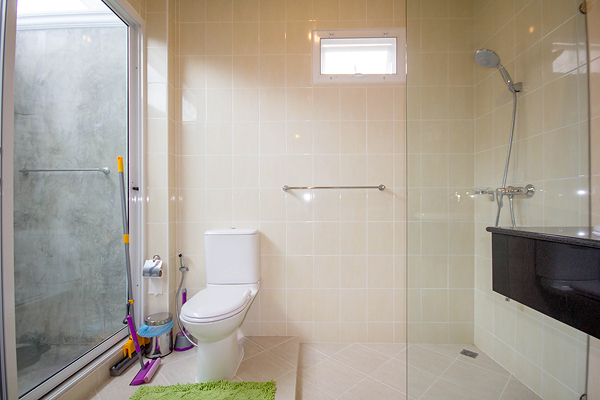 The second bedroom is 15 sqm and the third bedroom is 12 sqm and share an en suite bathroom and separate shower with glass ceiling.